New York City’s top developers are becoming all too aware of a slowdown on the top end of the real estate market. Though there are no forecasts projecting an imminent crash, some high-profile builders say they’re seeing the velocity of sales in high-end buildings start to wane amid increased competition in the luxury segment of the market. “My personal view is that, in this cycle, we have passed the top,” said Miki Naftali of the Naftali Group, speaking Wednesday at a summit hosted by the magazine Haute Living. Wealthy buyers, faced with a slew of new options at a price point of $10 million and above, are beginning to dawdle, developers said. That’s especially true when it comes to buildings that have already been on the market for a year or more and where sponsors have hiked prices significantly from the initial offering plans. Sales are notably slow at top-shelf buildings such as One57, which has still not sold out two-and-a-half years after developer Extell declared it 70 percent sold, and at the Woolworth Building, where developer Alchemy Properties is rumored to be struggling with sales. 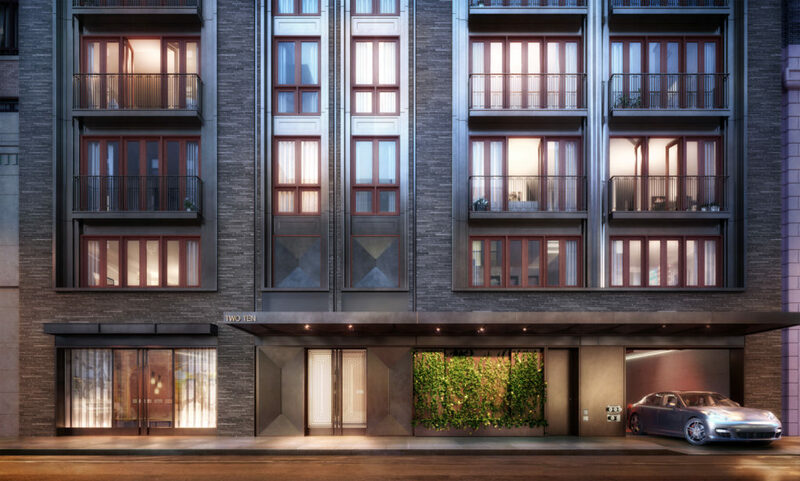 There are currently 18 buildings on the market with prices averaging in excess of $3,000 a foot, including 737 Park Avenue and the new Baccarat Hotel & Residences, according to a recent report from CityRealty. With sales slated to ramp up at buildings such as 520 Park Avenue and 220 Central Park South, there will likely soon be many more in a packed market that already boasts 577 single-family homes priced at $10 million or higher, according to StreetEasy. In the first three quarters of 2014, only 56 apartments priced at $10 million and up even sold, data from Miller Samuel shows. The continued drop-off in sales activity, paired with rumblings of a market bubble, may spell trouble for various ambitiously priced projects across the city, said Michael Stern, CEO of JDS Development, the firm behind a 1,438-foot-tall luxury skyscraper on “Billionaire’s Row,” at 111 West 57th Street. Developers whose plans were fueled by the so-called “irrational exuberance” of the 2013 and 2014 markets may find themselves in for a rude awakening, according to Stern. Some may not even make it out of the ground. “There are a number of sites that have been announced, where developers say they’re building this or building that, that do not have their capital spend in place,” said Francis Greenburger of Time Equities, the developer behind 50 West Street in the Financial District.